Sawyer survived the detonation of Jughead, and woke up adjacent to the Hatch crater. 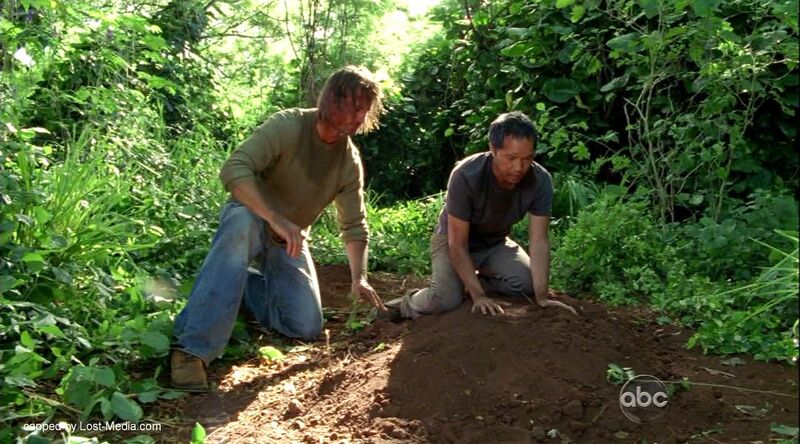 Upon seeing the crater, Sawyer angrily kicked Jack into the hole, believing that the plan had failed. Kate quickly stepped in to prevent a fight. An argument erupted between Jack and Sawyer, one which was promptly interrupted by Kate, hearing Juliet’s muffled cries for help. Sawyer, Jack, Kate, Jin and Miles turned their attention towards freeing Juliet, who was trapped under a massive amount of metal. Using the DHARMA van, the group managed to clear away enough of the wreckage for Sawyer to climb into the mountain of metal. Inside, he found a badly injured, but still alive, Juliet. 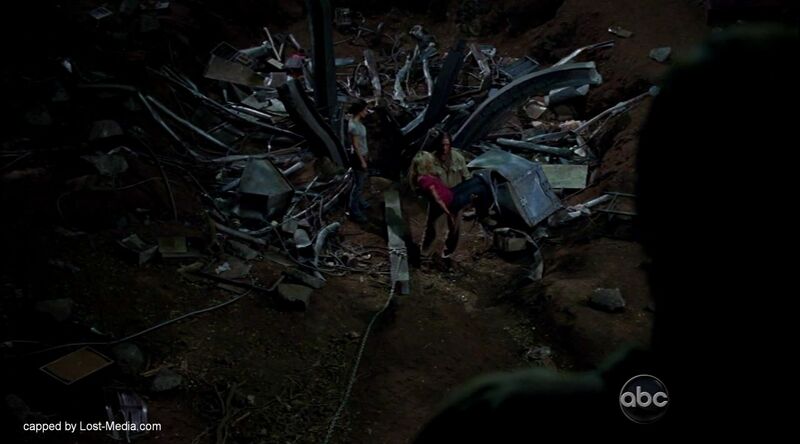 Moving away some wreckage, he took Juliet into his arms, comforting her. 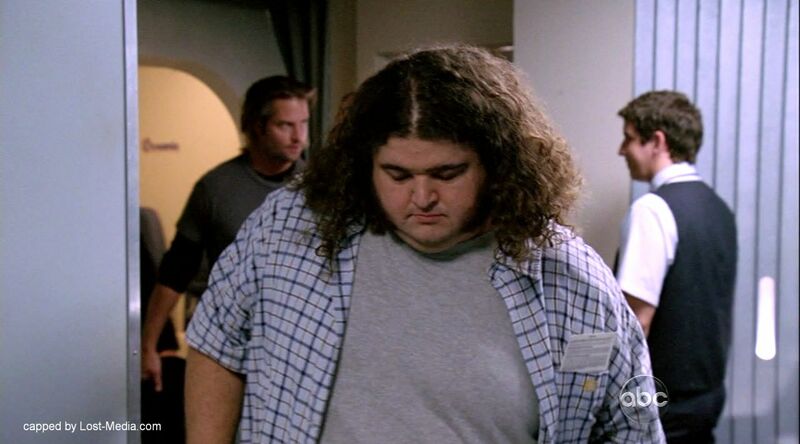 After Sayid awoke, Sawyer asked Kate how many guards she thought there were, indicating that he was planning on making a break for it. 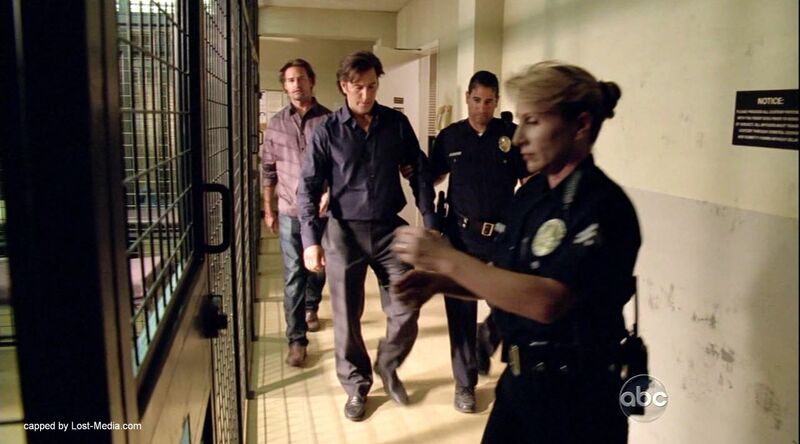 After grabbing a gun from one of the Others, Sawyer escaped The Temple, warning them not to follow him. A distraught Sawyer was next seen tearing up the floor boards in his house at the Barracks and recovering a box from underneath them. He then heard someone inside the house and threatened to shoot them, until he realized that it was Kate. Shortly after Kate departed from the Barracks, Sawyer was visited in his house by the Man in Black. 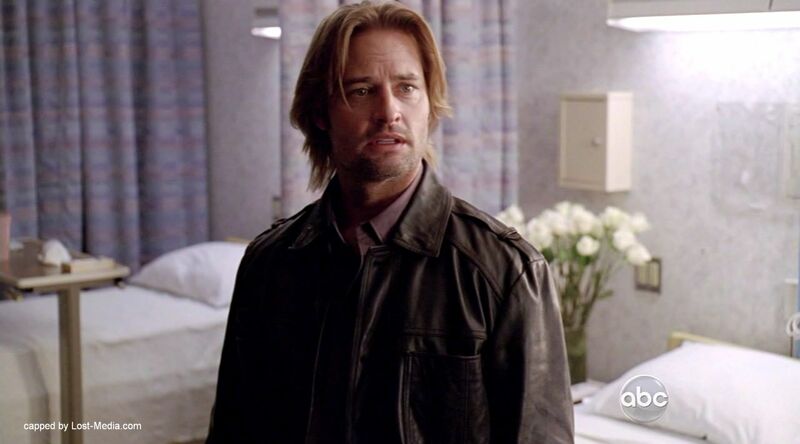 Sawyer almost immediately saw through the Man In Black’s disguise as John Locke, and demanded to know who he was and what he wanted. The Man In Black replied that he wanted Sawyer to accompany him, and Sawyer eventually agreed. 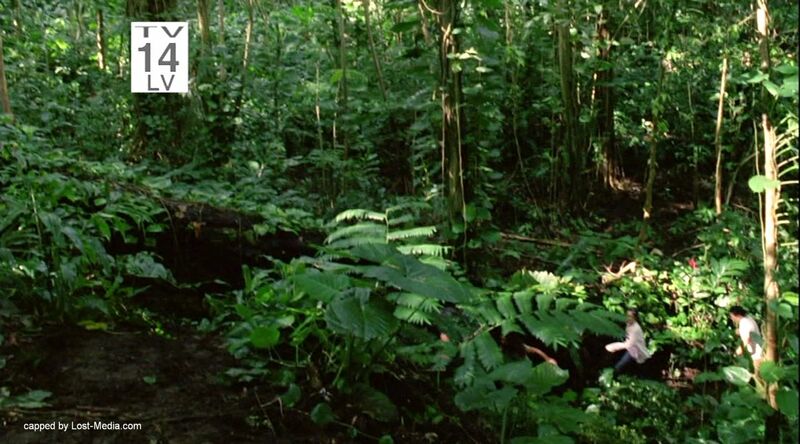 During their trek, they encountered a strange boy in the jungle. The Man In Black was surprised to learn that Sawyer could see him too, and pursued the boy deep into the jungle, leaving Sawyer all alone. 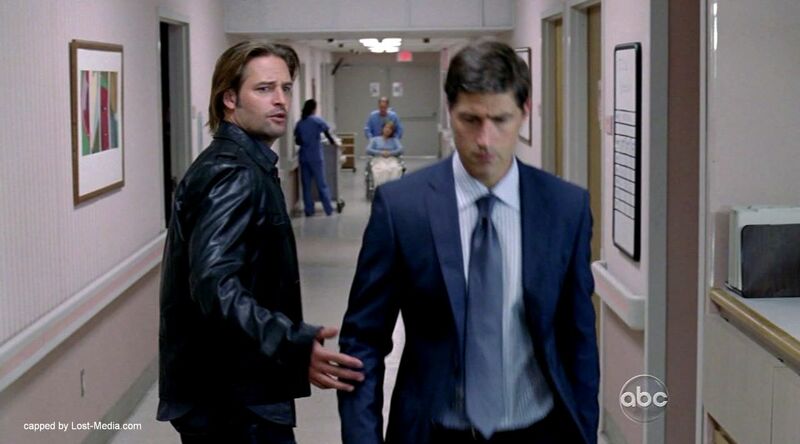 Shortly after, Sawyer was found by Richard, who attempted to get him to go back to the Temple, claiming that the Man In Black was planning to kill him and all of his friends. 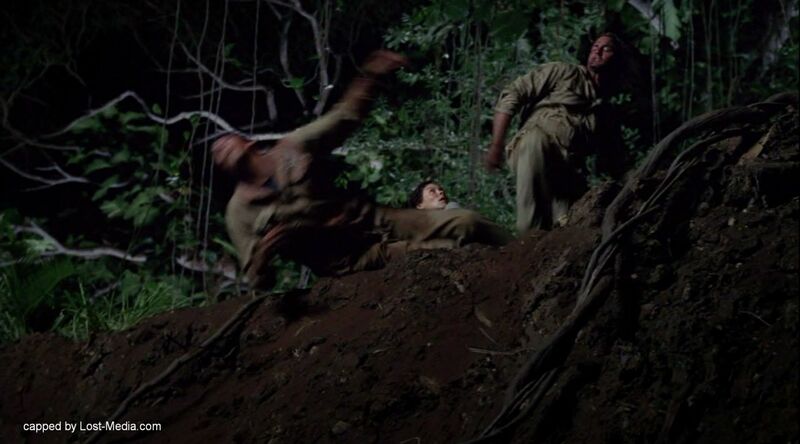 However, at that moment, the Man In Black returned, and Richard was forced to retreat back into the jungle. When asked who he was talking to, Sawyer lied and said he had not been talking to anyone. 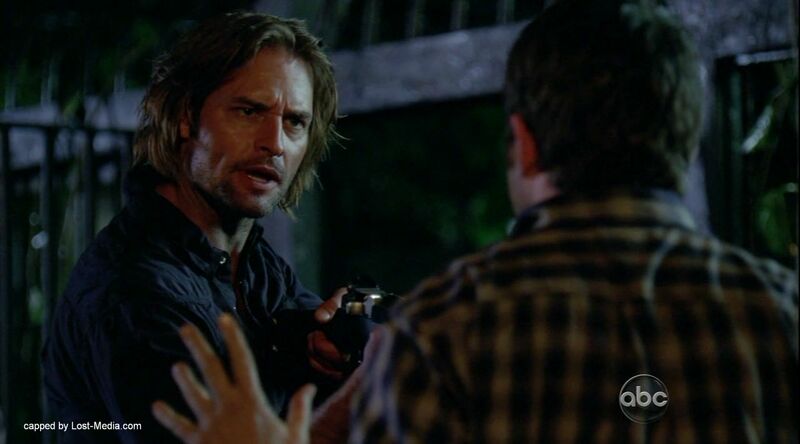 Sawyer continued to grow wary of the Man In Black, and, eventually, heeding Richard’s warnings, pulled a gun on him. When he demanded to know who or what the Man In Black was, the Man In Black responded by telling him that he had been a man once. He knew what pain felt like, and suffering. He even knew what it felt like “to lose somebody you love”. Sawyer, subdued, put away the gun and continued traveling with the Man In Black. 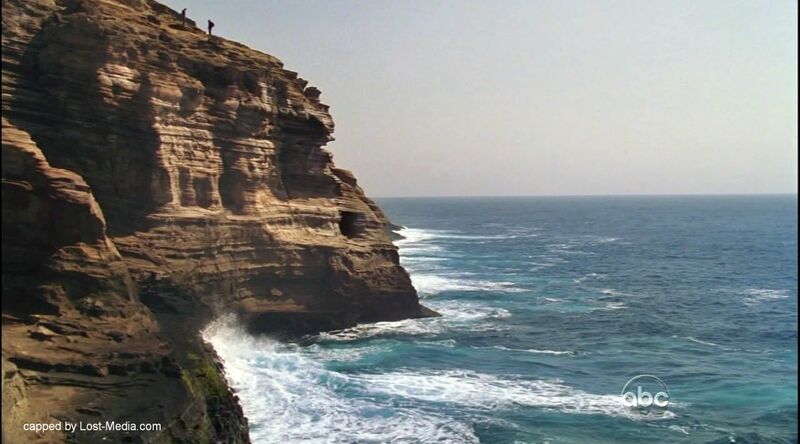 At the end of their journey, they arrived at a steep cliff, leading straight down to the ocean. The Man In Black descended a long wooden ladder, and Sawyer followed carefully. The Man In Black then moved himself onto a rope ladder just alongside the wooden ladder, seconds before the wooden ladder snapped beneath Sawyer’s weight. 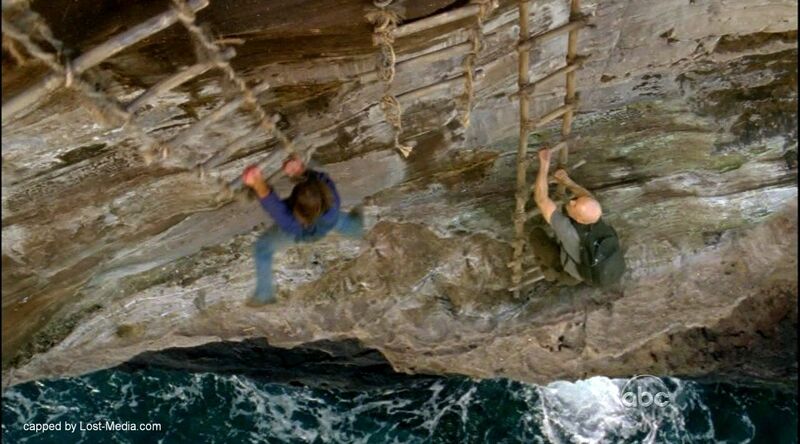 The Man In Black grabbed Sawyer as he fell past, and pulled him onto the rope ladder, thereby saving his life. The two then entered a large cave, where the Man In Black promptly removed a white stone from a balance and threw it into the water, referring to it as an “inside joke”. 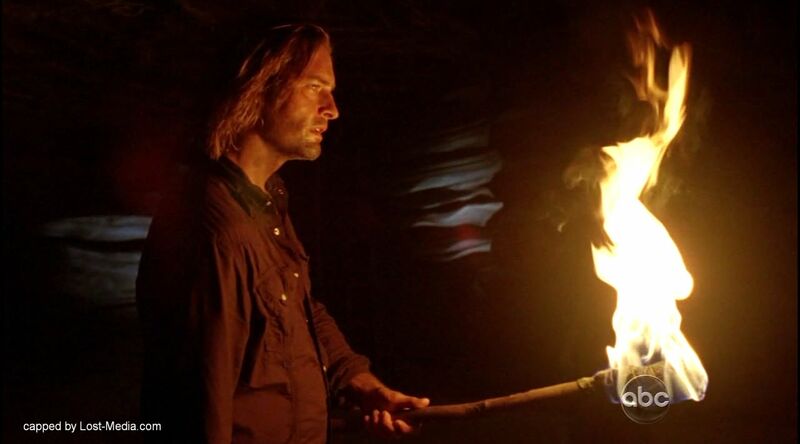 Under unknown circumstances, Sawyer arrived at Claire’s hut, one or two days after his encounter with the Man in Black at the cliffside cave and woke a captive Jin up. 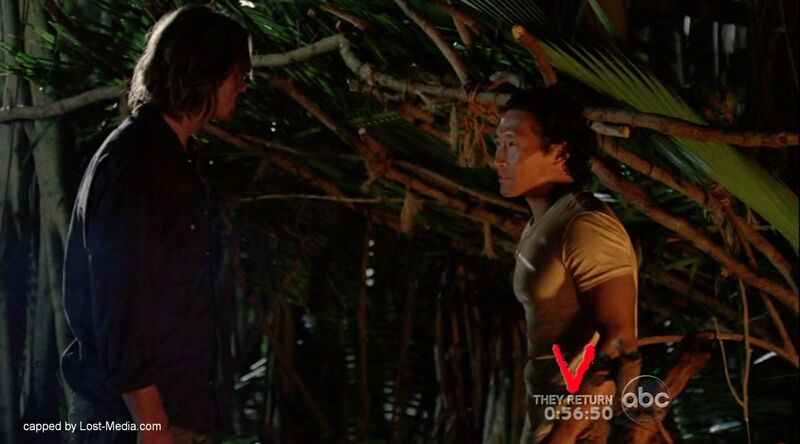 Jin insisted that they escaped the hut as fast as possible, but Sawyer replied he was with Locke. He added that he knew that the man he was following wasn’t really Locke, but he didn’t care as long as he got them off the Island. 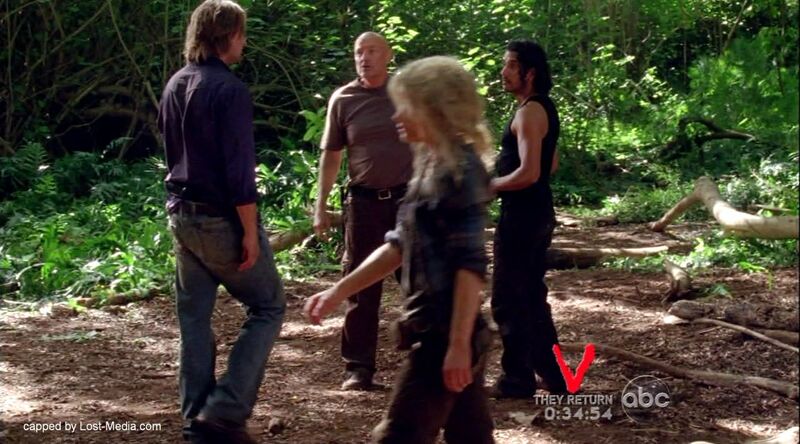 At that moment, the Man in Black arrived with his new recruits, including Kate and Sayid. 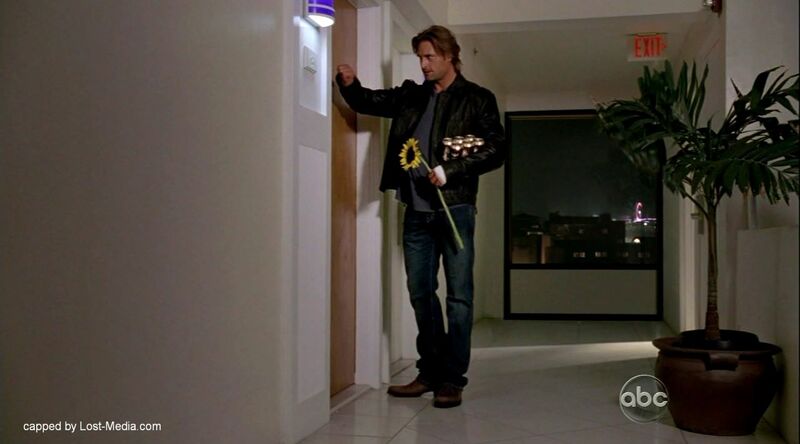 Sawyer later discussed the whereabouts of their friends with Kate who also questioned him about his alliance. Sawyer replied he was with nobody. The group trekked until MIB stated there was a clearing ahead and that they would camp for several days. 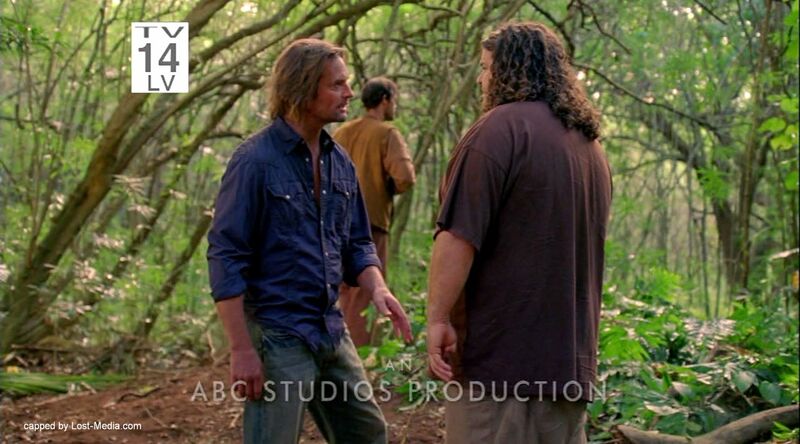 Sawyer interrupted and demanded to know when they would be getting off the Island. The Man in Black appeared annoyed and insulated James so they could talk in private. They arrived at a beach with a view of the Hydra Island. 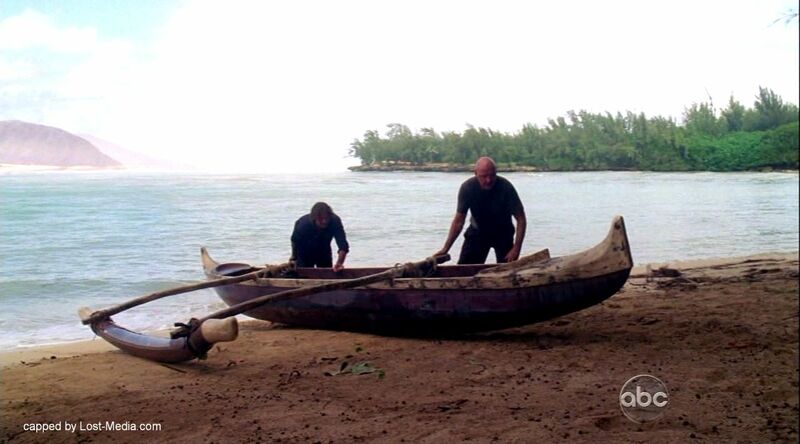 “Locke” tasked Sawyer to take an outrigger to Hydra in order to “do some recon”. 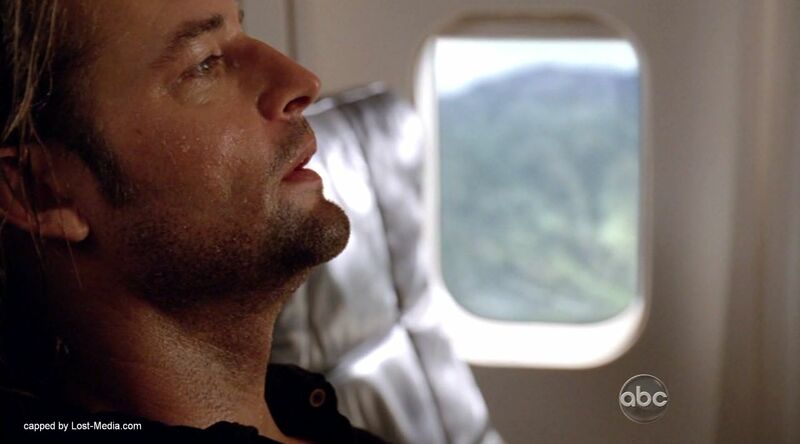 He added that there was a plane there which they would use to fly off the Island and furthermore reassured James that nobody would hurt him because “[Sawyer] is the best liar [he has] ever met”. 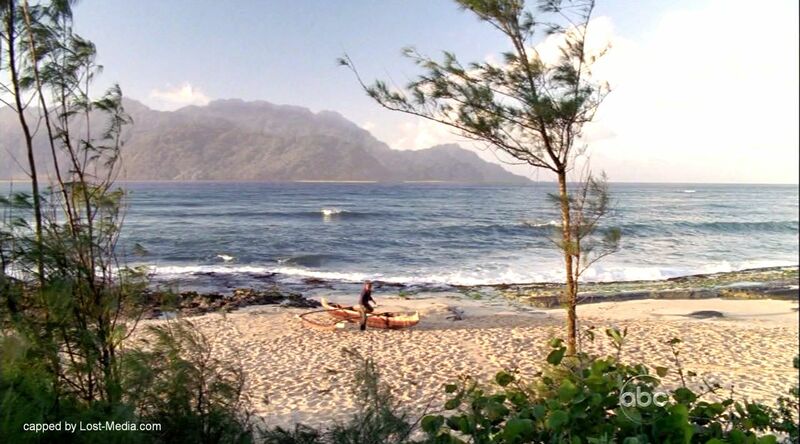 Sawyer obeyed and took an outrigger to the Hydra Island where he briefly stopped by the cages in which he and Kate were held prisoners and found the dress Kate wore at that time. 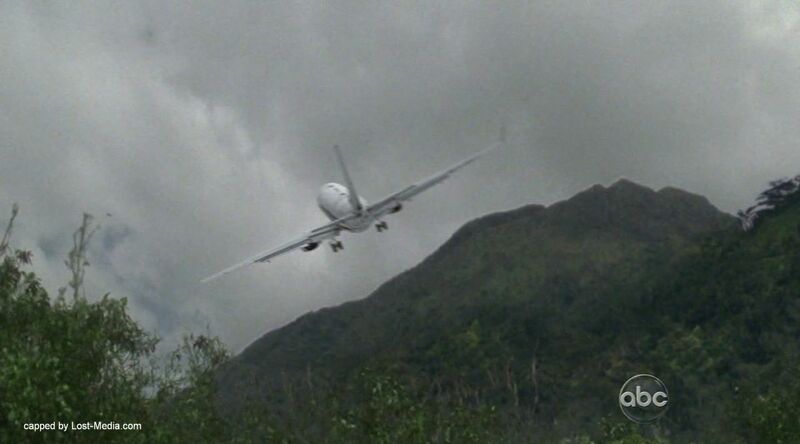 Some later, James discovered the plane as well as a pile of decaying bodies—the former passengers of the flight. At that moment, he noticed Zoe, a woman who introduced herself as the only survivor of the Ajira massacre. It was, however, evident that she was lying; when Sawyer attempted to pull his gun on her, four armed men appeared from the bushes, took him prisoner and led him to Widmore’s submarine at the Hydra Island dock. Zoe introduced him to Charles Widmore himself. Sawyer attempted to make a deal with him: he promised he would bring the Man in Black to Widmore’s doorstep so Widmore could kill him, as long as he and his people would get a safe passage off the Island. Widmore accepted the deal. When Sawyer returned to the main Island, he revealed everything he had noticed in Widmore’s sub to the Man in Black, including his own deal with him. “Locke” stated that he appreciated Sawyer’s loyalty. 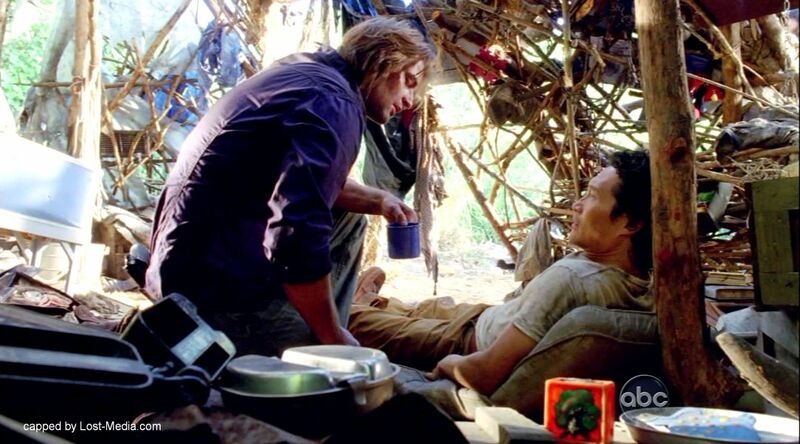 The next night, as Jin prepared to leave the camp, Sawyer approached him and asked where he planned on going. 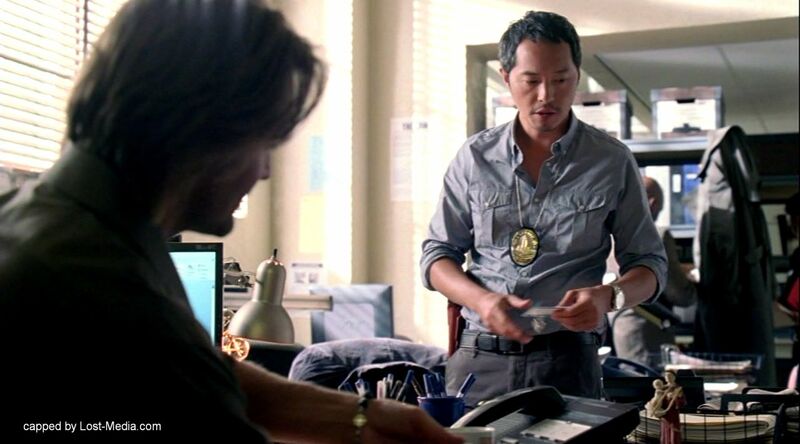 As Sawyer attempted to explain that he had a deal with Widmore, Jin continued to refuse, and along with the rest of the camp, the two were struck with darts and passed out. 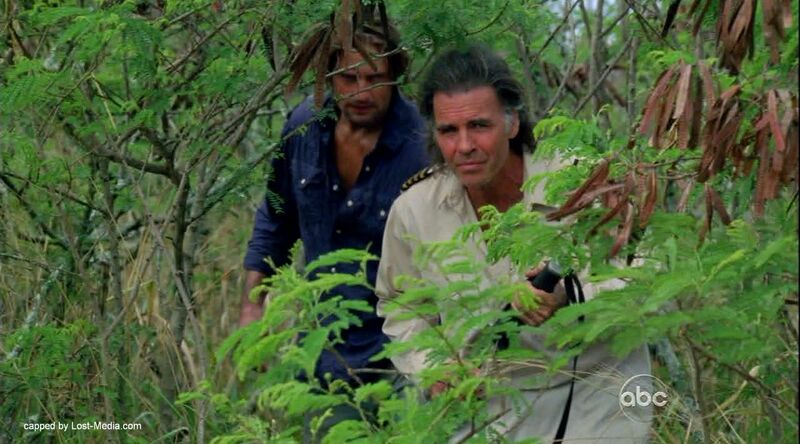 When morning came, Sawyer witnessed Locke and Sayid prepare to leave to Hydra Island in an effort to retrieve Jin. 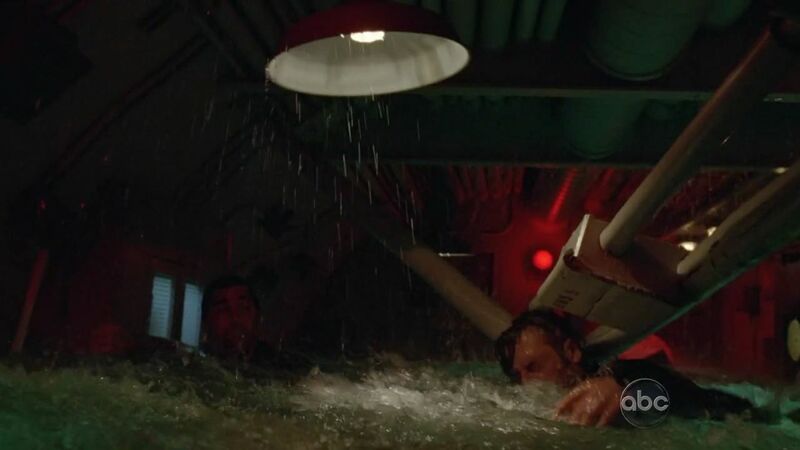 When the other survivors arrived at the camp, Sawyer told Hurley they were going to use Charles Widmore’s submarine to escape the Island, Sayid was with the “dark side” so he was not invited. 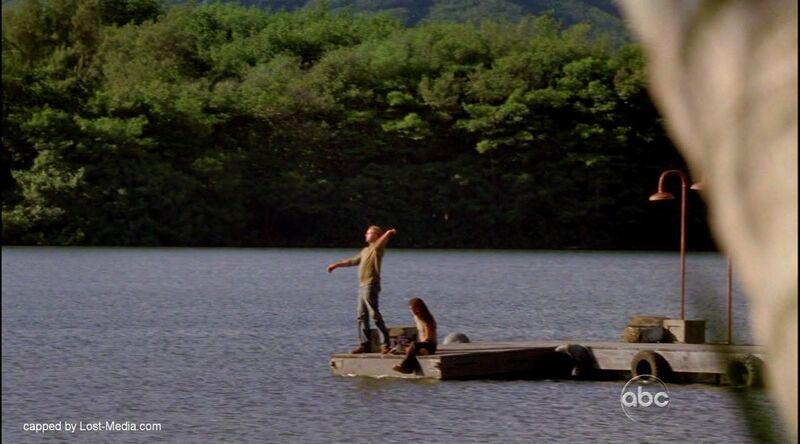 Locke gave Sawyer a rough map to get a boat and to bring it to collect them all and take them to Hydra Island. Sawyer asked Kate to come with him. 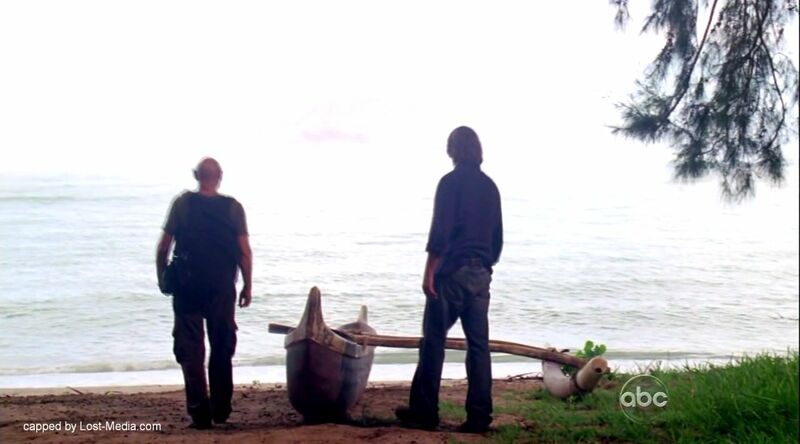 Sawyer whispered to Jack that he wasn’t going to rendezvous with Locke but wanted him to find a way to sneak off with Sun, Hurley and Frank to meet them at an old dock. They would then all go to Hydra Island to meet Widmore, whom he had a deal with. 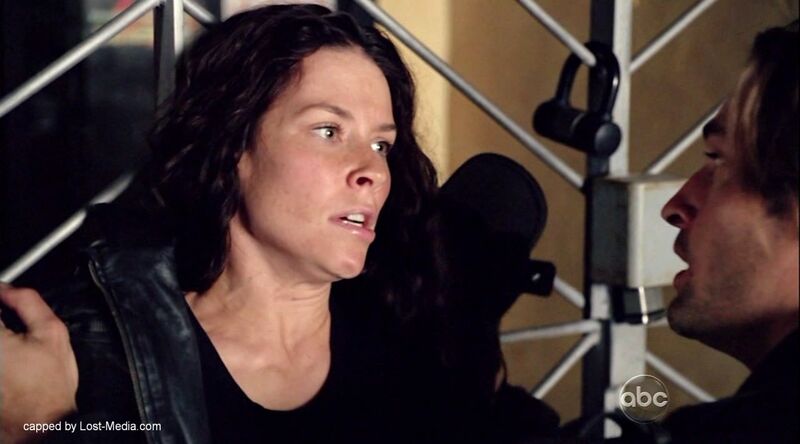 When Sawyer and Kate arrived at the coast, Kate asked about Claire but Sawyer replied that Claire was dangerous. They swam to the Elizabeth. 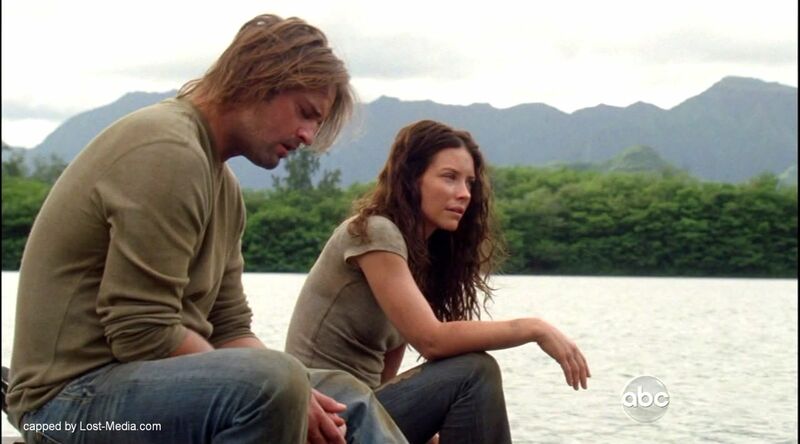 When the others arrived at the boat, Kate convinced Claire to join them, against Sawyer’s will. 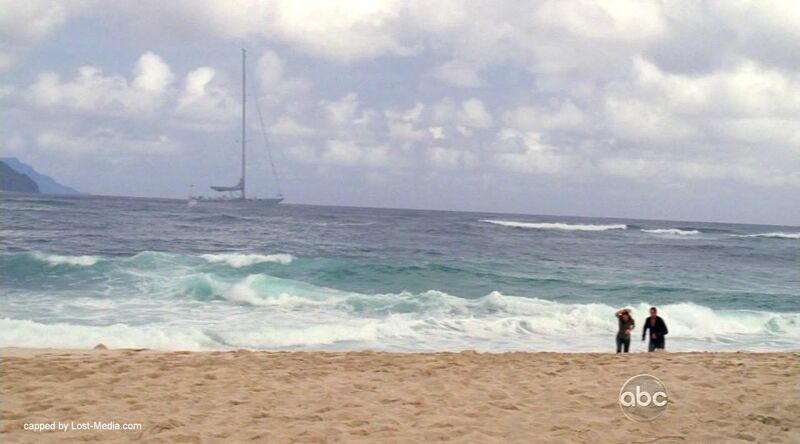 When Jack told Sawyer he didn’t want to leave the Island again, Sawyer ordered Jack to get off the boat and not talk that “crazy talk.” He added that he was done with the Island and that if Jack wanted to take a leap of faith he should take it, so Jack jumped off the boat after apologizing for Juliet’s death. 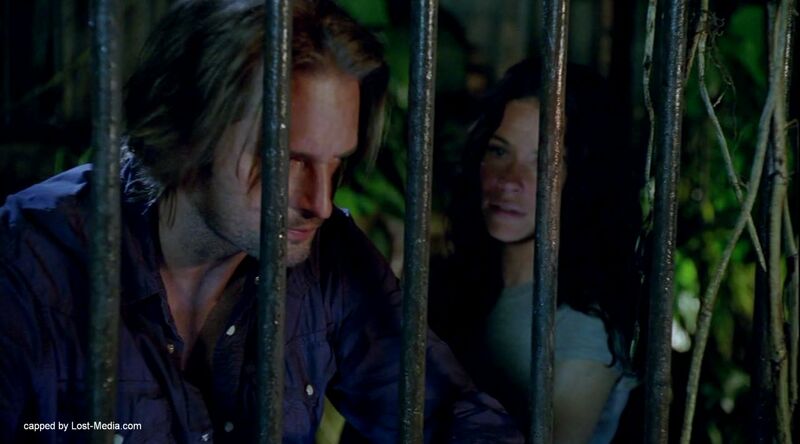 Later that night, Sawyer and Kate reminisced about being back in the cages, with Sawyer remarking that he felt like they were going in circles. 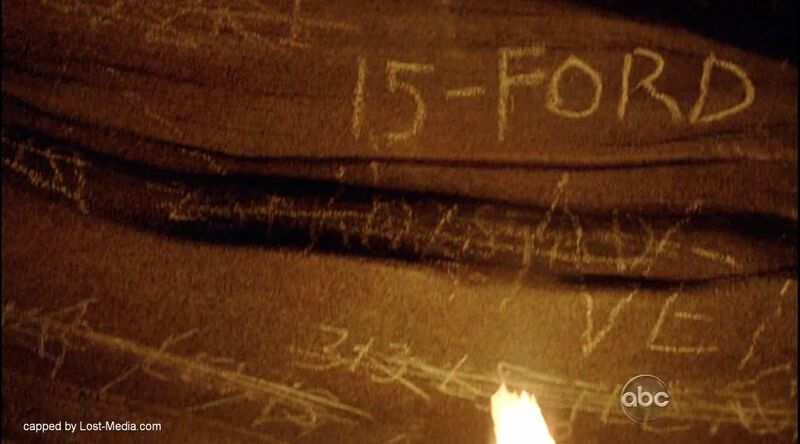 Sawyer asked Kate if she remembered the cliffside cave he had told her about, where all the names were written, and confessed that her name was there too, but was crossed out, also saying, “He doesn’t need you, Kate.” Shortly thereafter, Sayid powered off the pylon fence generators, and the Smoke Monster appeared, quickly dispatching Widmore’s men. Jack grabbed the keys off of Seamus and freed the survivors from the cage. 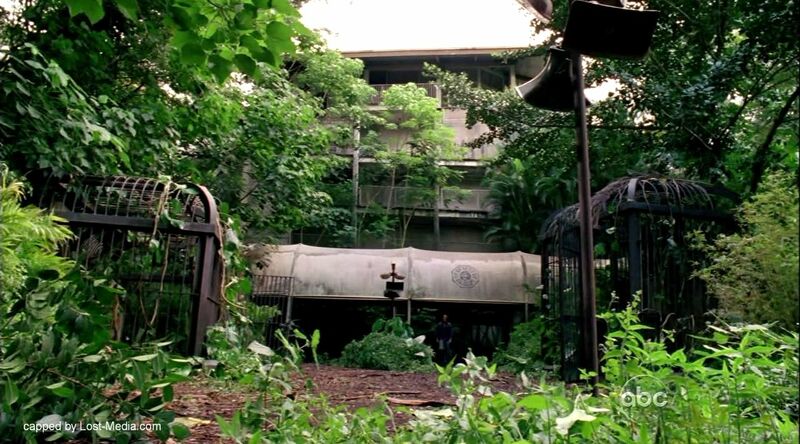 The next morning, Sawyer, Jack, Sayid, Kate, Claire, Frank, Sun, Jin, and Hurley made their way to the Ajira plane to meet Locke and make their escape. Locke came out of the plane with a brick of C4, explaining that Widmore’s men had wired the aircraft to explode. Since they could not be sure that there were not more explosives on the plane, Locke directed that they would take Widmore’s submarine. 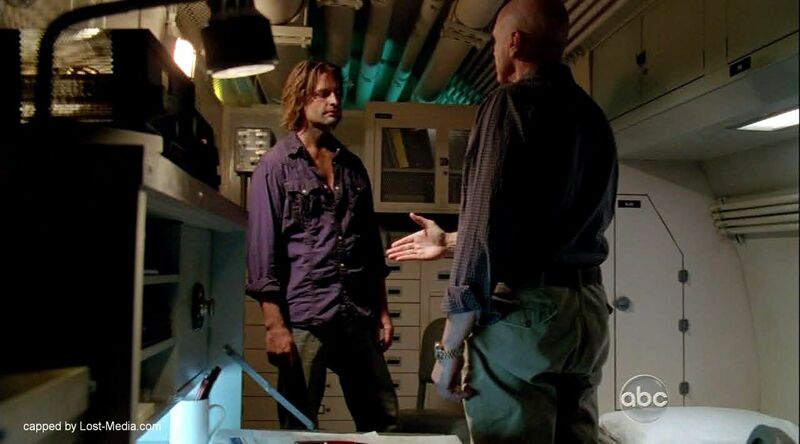 Sawyer pretended to agree with Locke, noting that he had been in favor of taking the sub all along. 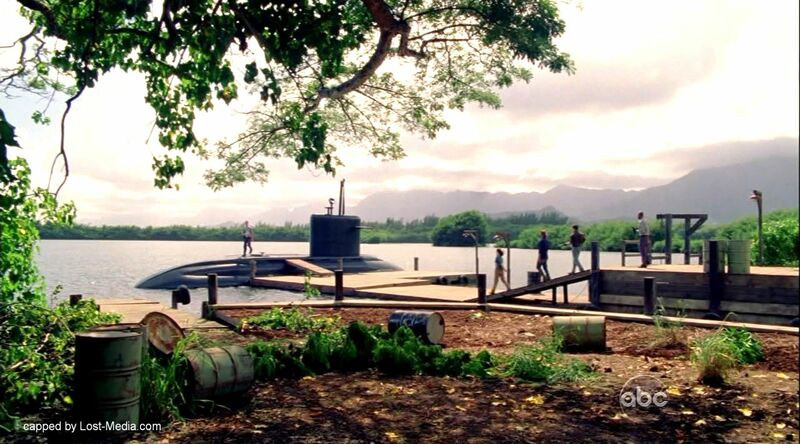 On the march there, however, he secretly asked Jack to get Locke in the water when they arrived and make sure he did not board the submarine. 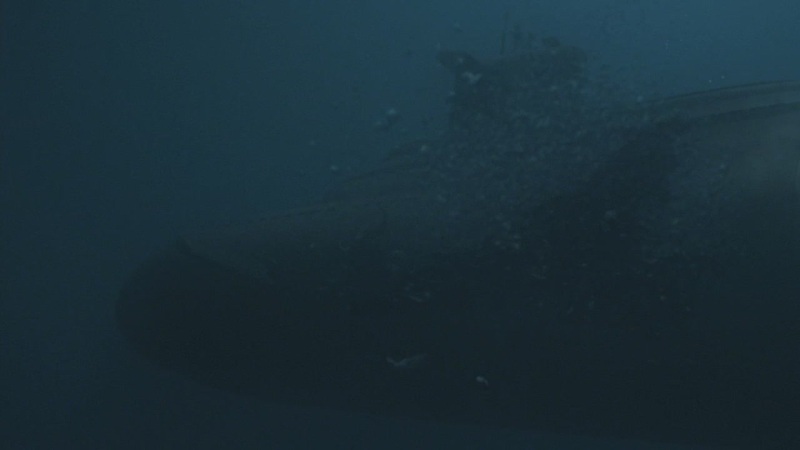 When they reached the submarine, Sawyer led the first wave of survivors into the sub, including Frank, Sun, Jin, and Hurley. He and Frank quickly subdued the crew and hijacked the craft. While this was happening, a shootout began on the surface between the remaining survivors and Widmore’s men and Kate was shot. When Jack brought a wounded Kate into the sub, Sawyer headed to the surface hatch to grab Claire, who had remained behind fighting Widmore’s men. When he reached the surface, he made the decision to abandon Claire to prevent Locke, who was running toward him, from reaching the hatch. Sawyer slammed the hatch closed, and told Frank to submerge the submarine. 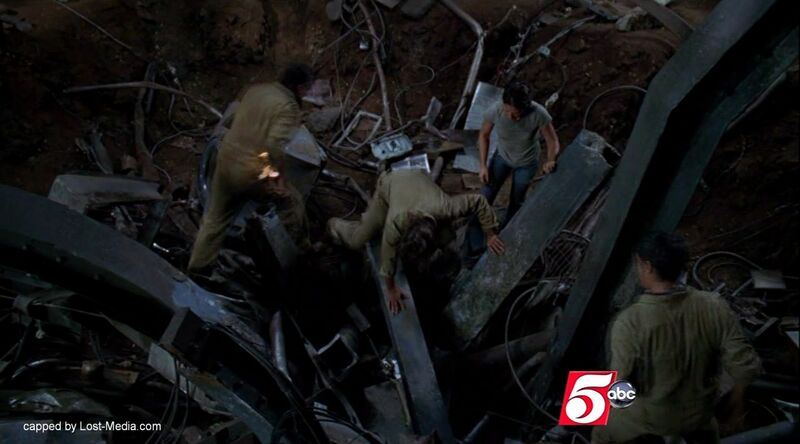 Jack and Sawyer together tended to the wounded Kate, when Jack discovered the timed C4 bomb in his backpack. 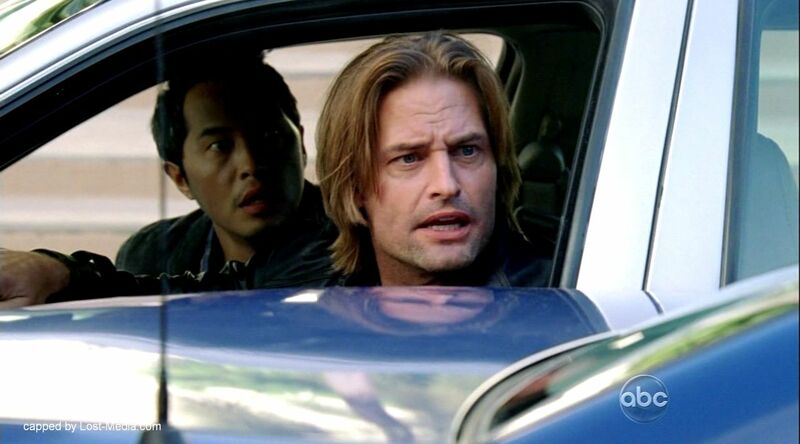 After Sayid explained that the bomb could possibly be rendered inert by pulling both wires simultaneously, Sawyer made the decision to diffuse the bomb, Jack attempted to stop him, explaining that they were playing exactly into Locke’s hands and if they did not touch the bomb, they would all be fine. “James, we are going to be ok. You just have to trust me,” he said. Sawyer attempting to disarm the bomb Sawyer could not, and pulled the wires on the bomb. For a moment, the timer stopped, then at 1:31, then began counting down faster. Sayid ran with the bomb down the hall, saving the survivors from the brunt of the initial blast, and killing himself in the process. As Sun became pinned under a cabinet and pipes, Sawyer, Jack, and Jin worked to free her until Sawyer was hit in the head and knocked unconscious. 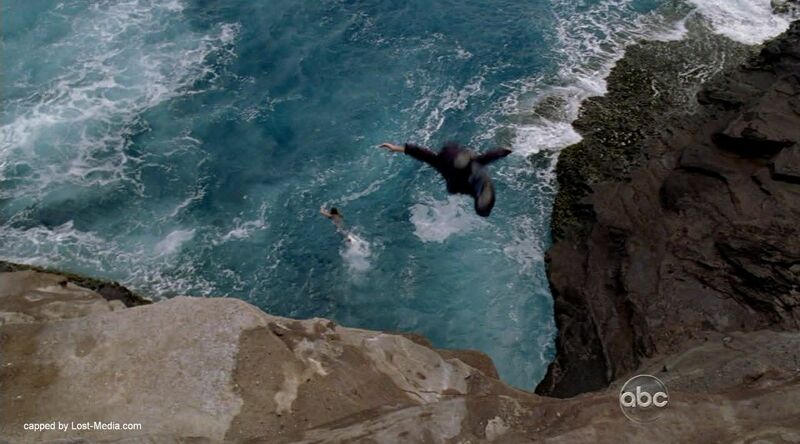 Jack kept Sawyer above water, and tried to save Sun, until Jin ordered him to get out of the submarine and save Sawyer. 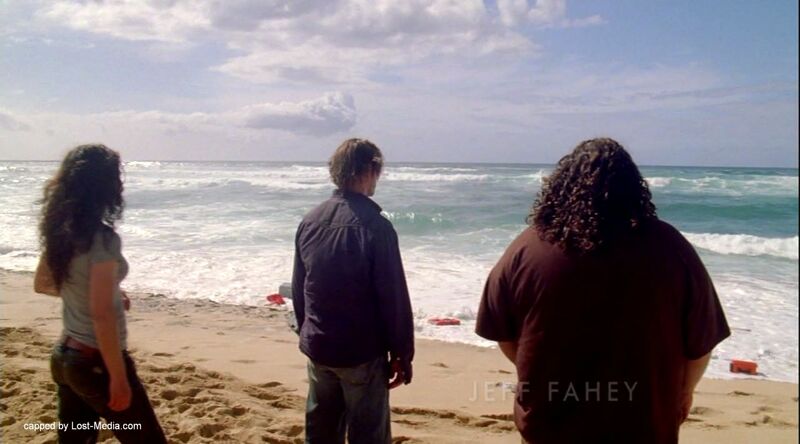 Sawyer and Hurley watched as the sea washed up flotsam from the destroyed sub. 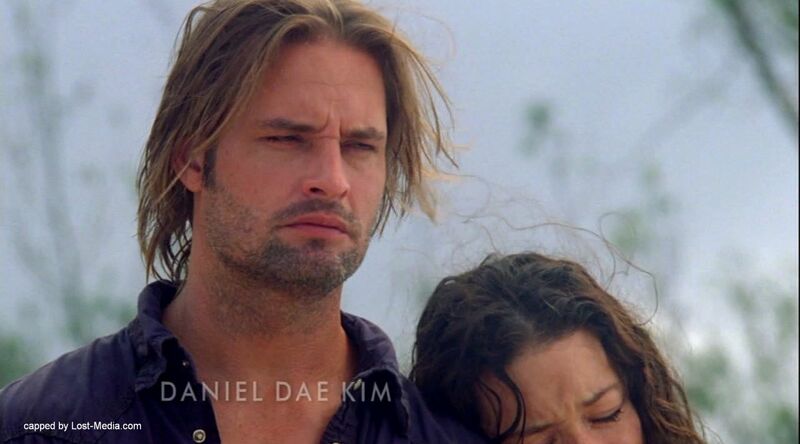 Kate leaned on Sawyer’s shoulder as a deep sadness consumed them all. 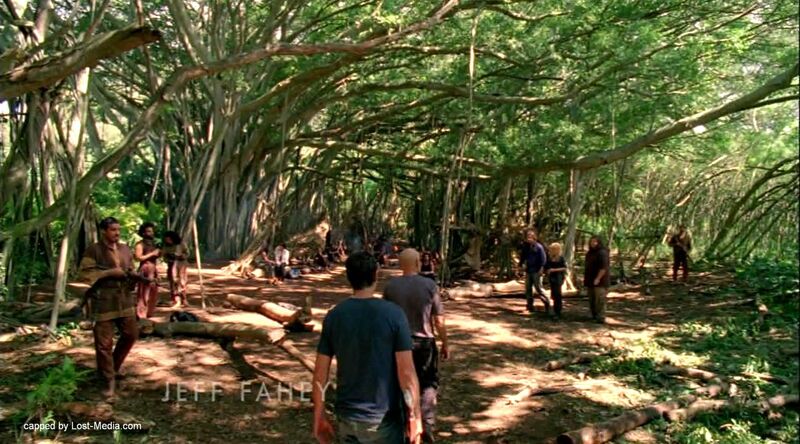 At Jack’s urging, they set off to find Desmond in the well Sayid mentioned. 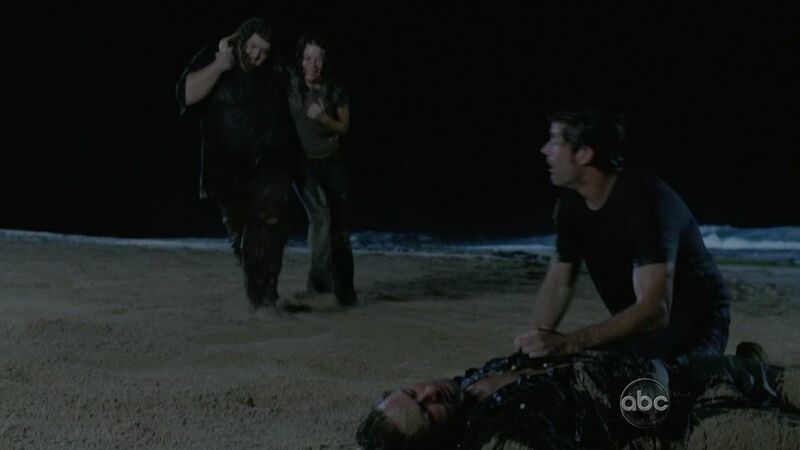 As they hiked, a miserable Sawyer suggested that he himself was responsible for the deaths on the sub, because he attempted to diffuse the bomb against Jack’s advice. Jack insisted that Locke killed them. At Jacob’s camp, Sawyer walked over to Kate to care for her wound. 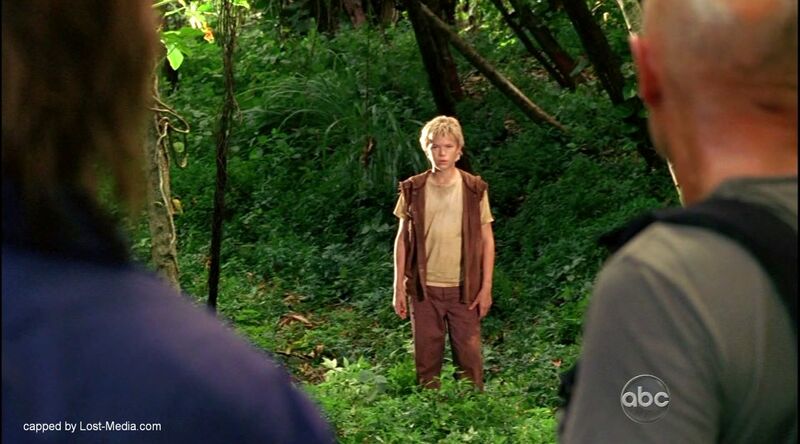 Sawyer joined Jack, who was standing in the river, and asked him if he was O.K. He then asked what was going on. 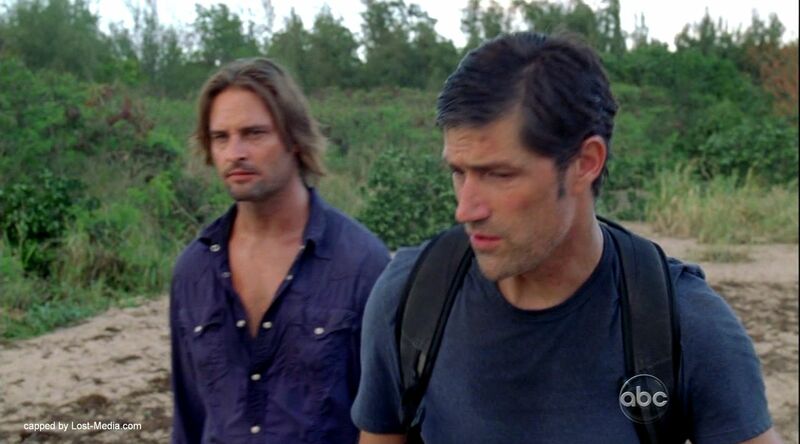 When Jack explained everything to the remaining survivors, Sawyer guessed that Locke didn’t have what he needed, which was Desmond. 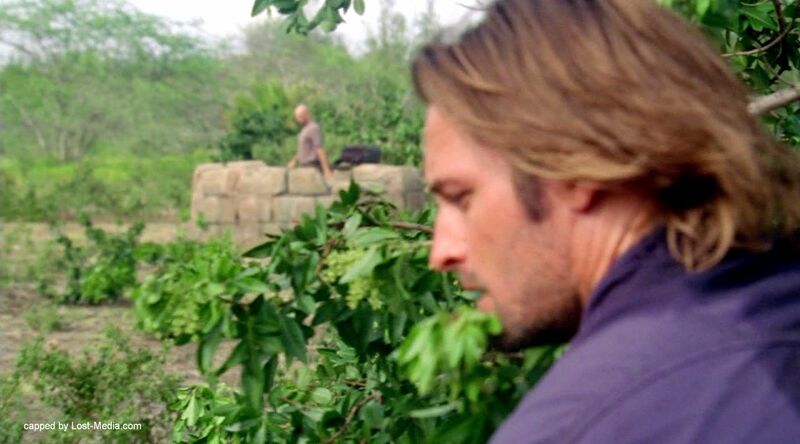 They all accepted that they didn’t know much so Sawyer went to get Desmond out of the well while the others got ready to go to the heart of the Island. 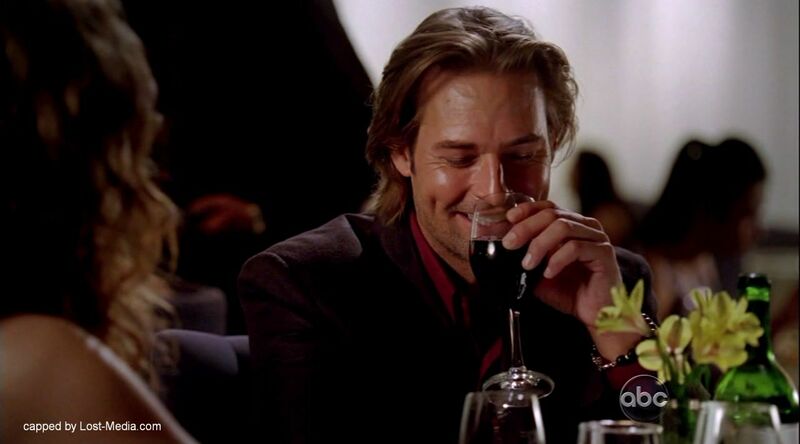 Sawyer bantered with Kate about not asking her to come, she said she will have to resist the urge of following him. 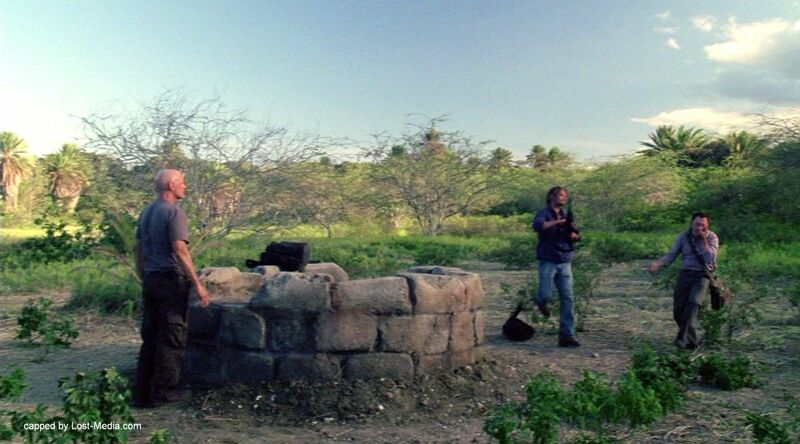 Sawyer watched Locke by the well, until Ben came up behind, and pointed a cocked rifle at him and invited Sawyer to join them. 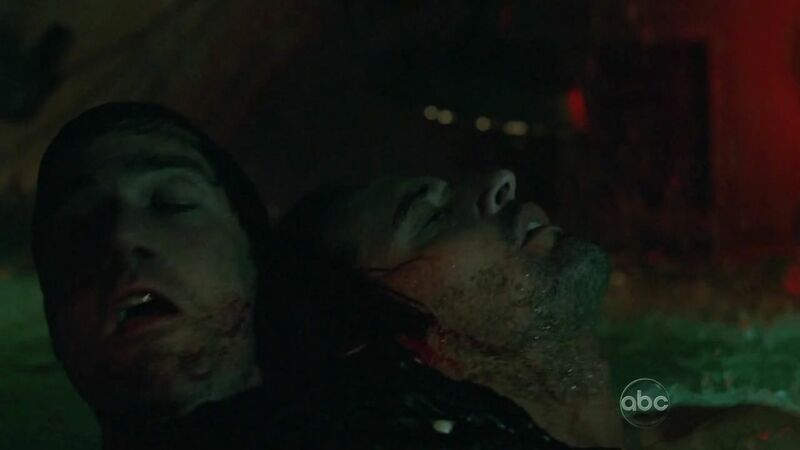 Sawyer told Locke he came to get Desmond out of the well but when he looked down the well, he noted that they were both beaten to the punch. 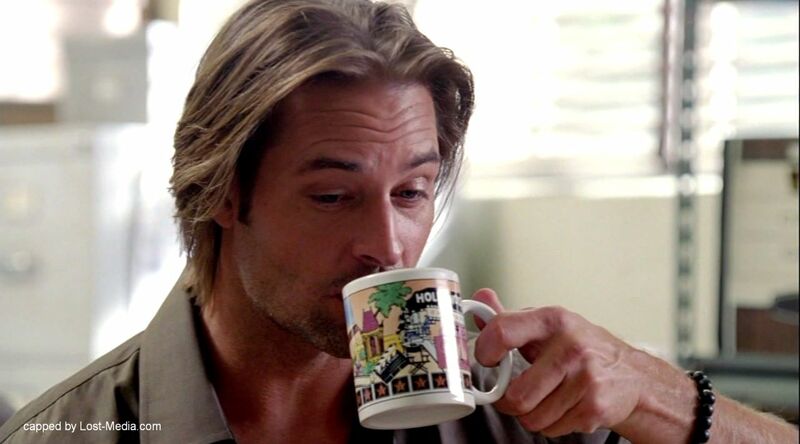 Sawyer guessed that Locke was here to get Desmond because Locke needed him to destroy the Island. Locke confirmed that it’s his plan but he was not going down with the ship like Sawyer and the rest of “Jacob’s little candidates”. Sawyer took the drop on Ben and punched him, taking his rifle and as he leaved, he says that they were not candidates anymore. Locke made no effort in chasing him. 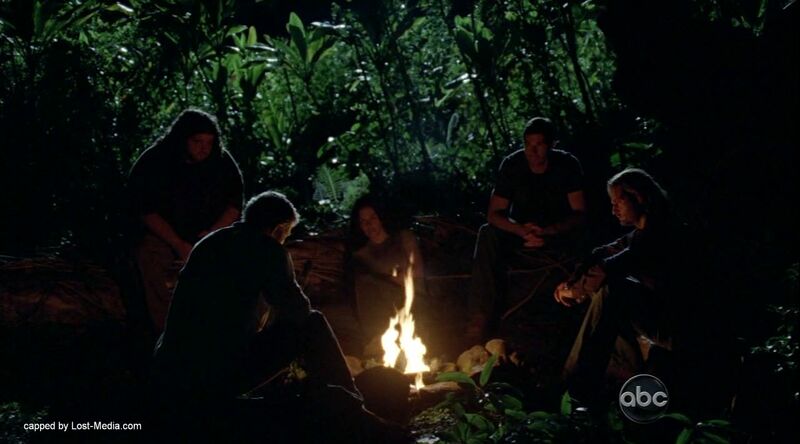 Sawyer found Jack, Kate and Hurley and told them Locke was going to destroy the island and mentioned the importance of them finding Desmond before Lock and Ben did. 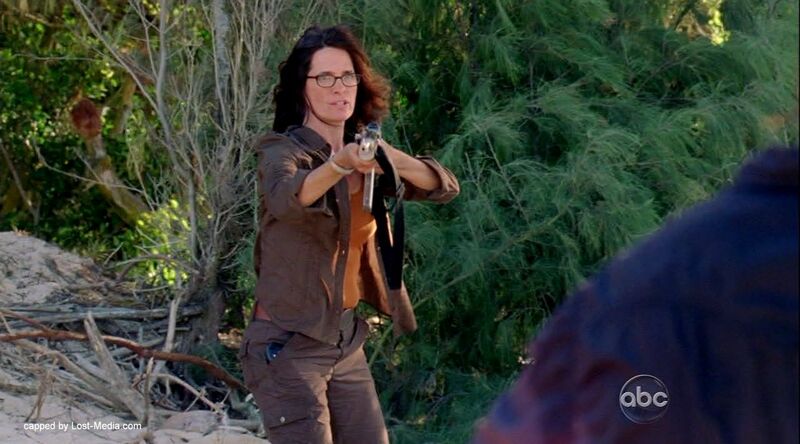 Kate snatched Sawyer’s gun and shot at Locke, to no effect, while Sawyer tried to stop her. 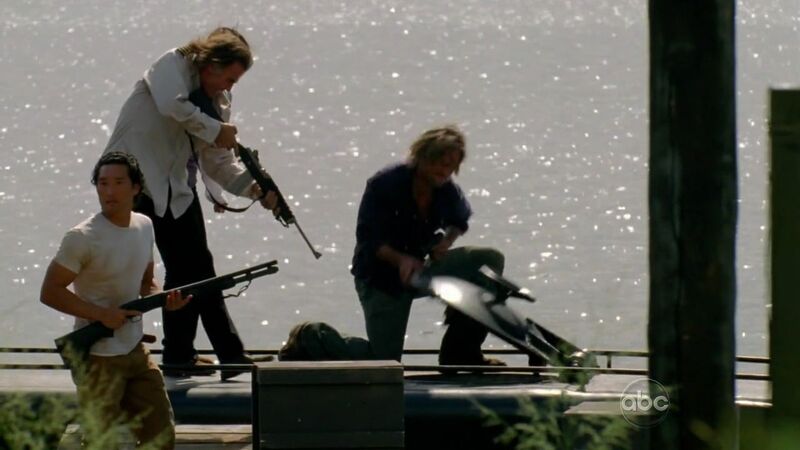 Later, Sawyer asked Jack how he was going to kill Locke. Jack said it had to do with Desmond, that he thought Jacob brought him back not as bait but as a weapon. 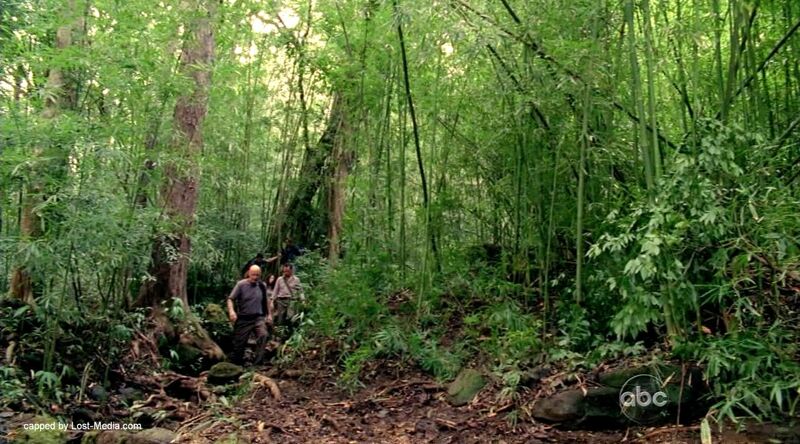 They moved through the bamboo forest and as they drew close to the Source Locke drew his knife and said it should just be him, Jack and Desmond from here on, leaving the rest behind. 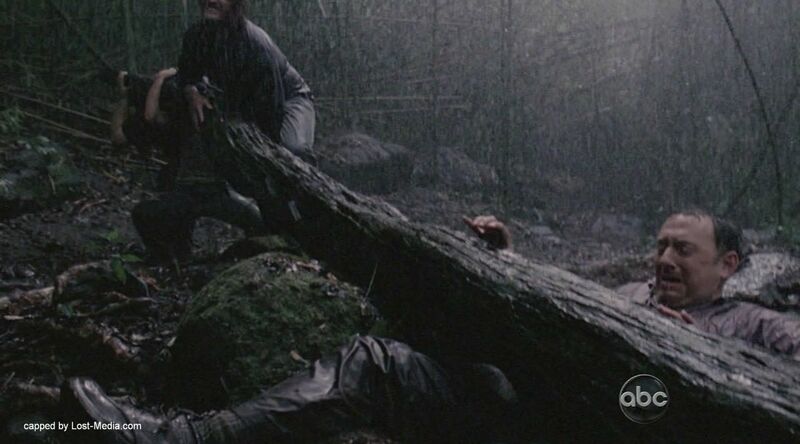 When the storm came, Sawyer, Hurley and Kate lifted the tree where Ben was trapped under. 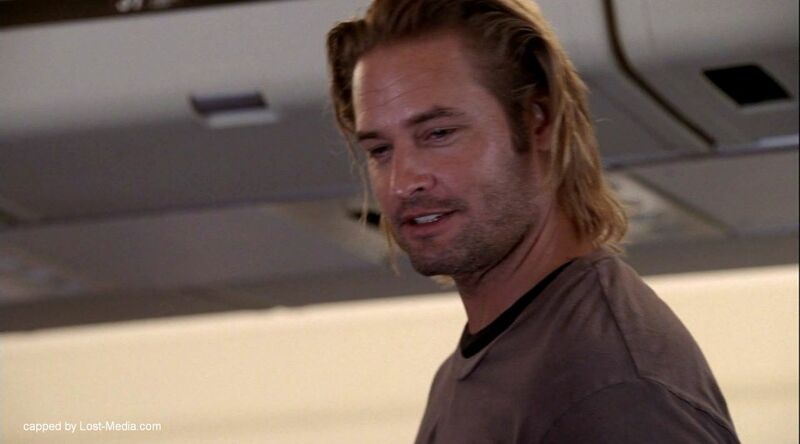 Sawyer said Locke was right, the Island was going down, and they needed to get on that plane. When Jack, with the help of Kate, killed MIB, Sawyer and the rest arrived. 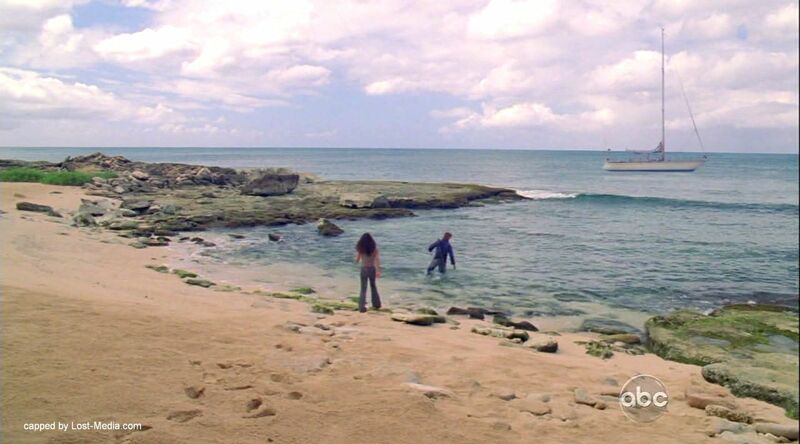 After saying goodbye to Jack, Hurley and Ben, he and Kate jumped off a cliff and swam to the sailboat. Once they arrived at Hydra Island, they saw Claire. 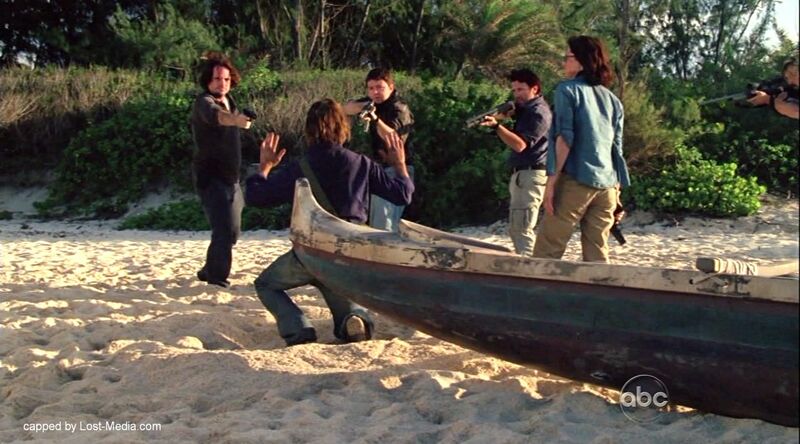 While Kate convinced Claire to come along, Sawyer noted that they had to move and pointed at the Ajira plane. 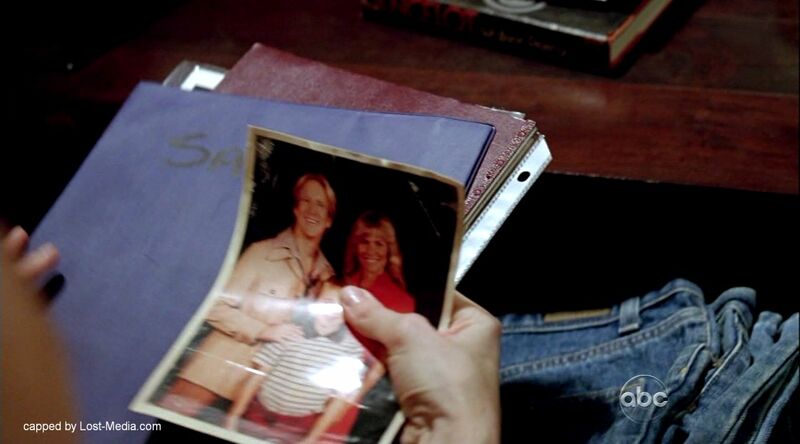 What happened after Sawyer left the island is unknown. It is possible that he was held responsible for the murder of the man in Sydney whom he believed to be the real “Sawyer”. The role that he played in his daughter’s life upon returning is also unknown. Also, it is possible he kept in contact with the others who left the Island via the plane, particularly Kate and Miles. 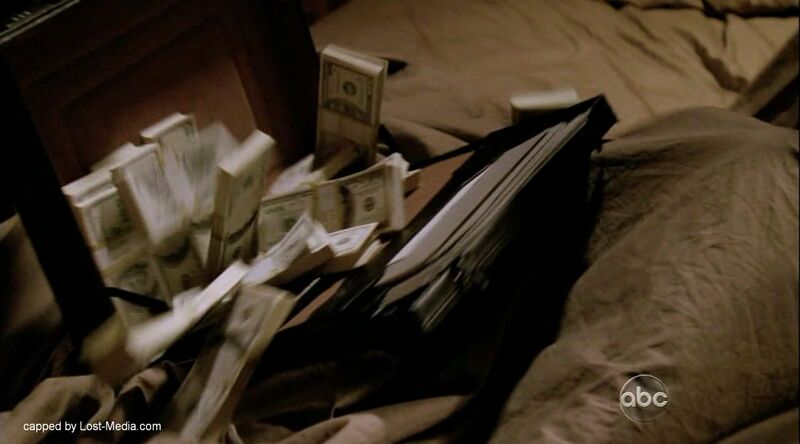 In the flash sideways world, James’s parents still died because of the con of Anthony Cooper, but he chose to be a police officer instead of being a confidence man. He was in Australia in search of Anthony Cooper, but it is unknown if he still killed a man while down under. He doesn’t use the nickname “Sawyer”. 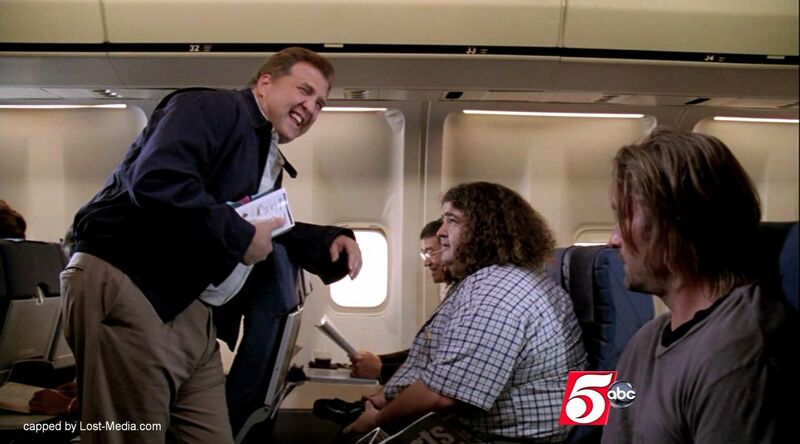 James, when walking down the aisle of the plane, accidentally bumped into Marshall Edward Mars, who told James to watch where he was going. 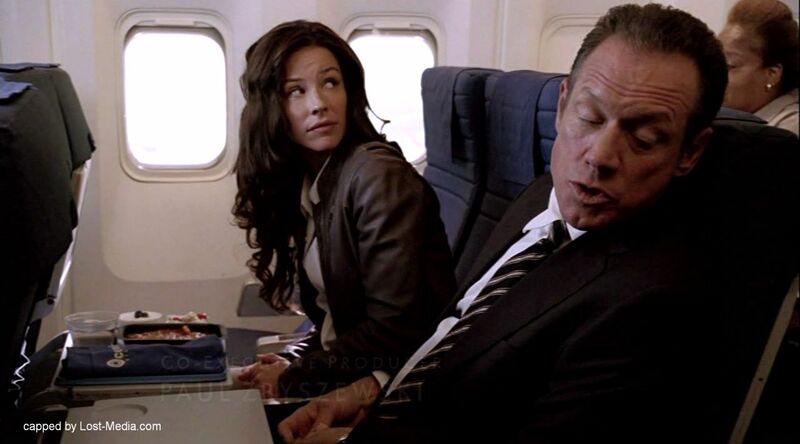 James stopped and apologized while looking and smiling at the woman sitting next to Mars, Kate Austen. Pretending to be a con man, James took part in an undercover operation with the LAPD that led to the arrest of an actual con man’s wife. When he arrived at his desk at the LAPD office the next day, James began to call a list of men named Anthony Cooper to inquire about whether they had been in Florida in 1976. As he was making the calls, Miles approached James’ desk and James made a point of hiding what he was doing from Miles. Miles asked about James’ supposed trip to Palm Springs. James had previously lied to Miles by telling him that he was going to Palm Springs instead of Australia, so he became flustered when answering Miles’ question. That night, James went on a blind date with Charlotte Lewis, a coworker of Miles’ father. The date went well until Charlotte discovered a notebook labeled “Sawyer” at James’ place. She opened the notebook and found that it contained personal information about the deaths of James’ parents. When James saw Charlotte with the notebook, he became very angry and ordered her to leave. James Ford readied for a day’s work and saw the mirror he broke. Later that day, Miles thought he saw Sayid in the Hummer so he called Ford and got him to check that Sun Paik was all right at the Hospital. Once Ford got there, Jin & Sun smiled and said they were safe. Ford looked strange and said he had to do his job, but Sun said the’ll see each other again the same night. Ford asked what that was supposed to mean but didn’t get an answer. Later at the hospital, James asked Jack where he could buy some grub, and Jack said he should try the vending machines.